A strong foundation is necessary for any business. 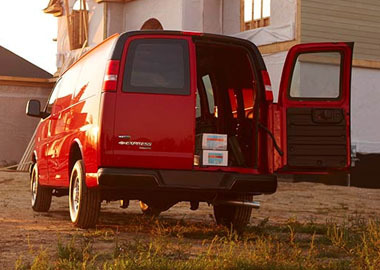 With the 2017 Express Cargo Van, you'll get a proven full frame design, a powerful engine, plenty of cargo room and available technology. The capability of this van comes from the standard Vortec® 4.8L V8 engine with 285 horsepower and the available Vortec® 6.0L V8 engine that delivers 342 horsepower and 373 lb.-ft. of torque. Also available beginning in early 2017, our Duramax® Turbo Diesel engine. For your towing/hauling needs there's the standard Hydra-Matic® 6-speed automatic transmission that includes Tap-Up/Tap-Down Driver Shift Control and auto grade braking to automatically slow the van using the engine. Express offers more technology than you'd expect to see in a commercial work van. It's also more of the technology you need every day. OnStar® Automatic Crash Response, available on work vans, means built-in sensors can alert an OnStar® Advisor that you've been in crash, whether or not the air bags deploy. 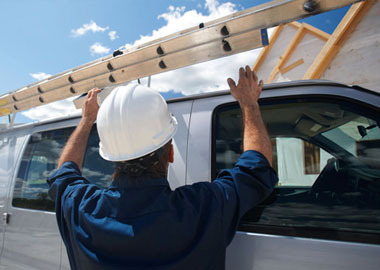 Visit onstar.com to see the amazing ways OnStar® can help keep you safe.